If you are interested in participating in a unique, relaxing and alternative excursion, Selcuk Horse Safari is what you are searching for. 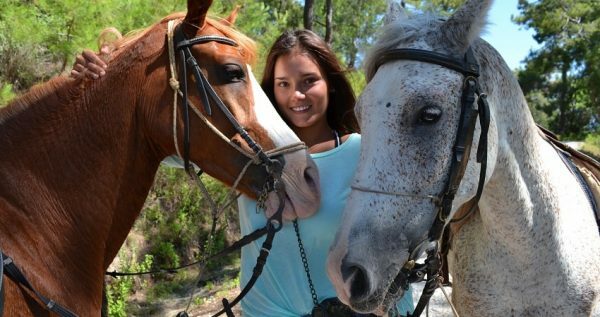 Get away from the crowds and get the chance to admire nature at its best with a horse riding excursion in Kusadasi. Discover the area’s quiet landscape and relax with a peaceful activity like no other. 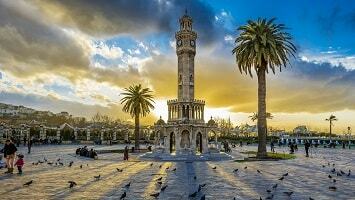 The Horse Safari experience starts once you are picked up from your hotel in Selcuk. With a comfortable and modern vehicle you will be driven towards the Horse Safari ranch. 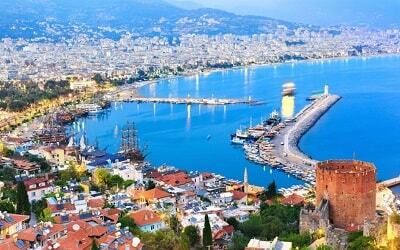 The excursion’s starting point is approximately 20 minutes far from Selcuk. Once you arrive there, you will meet your instructors. 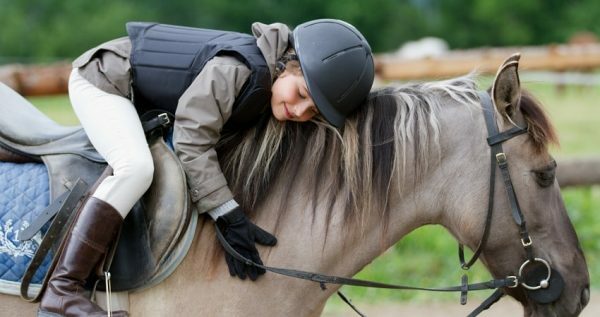 They will proceed with a detailed description of how to ride and control a horse. In addition, the professional instructors will also demonstrate all the necessary safety procedures that you need to follow and will inform you about the safety equipment. Therefore, if this is your first experience in Horse Safari, there is nothing to worry about as everything will be explained properly. At the ranch you will also get the chance to see the horses that you are about to ride. The horses are properly trained and are completely safe for this activity. In addition, they are friendly and ideal for children as well. Once you are ready, the Horse Safari experience starts. In total you will enjoy a one hour horse riding. Accompanied by your instructor you will start riding your horse in a forest path. 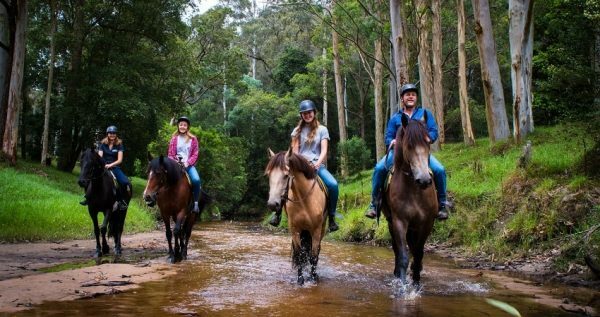 During the horse riding you will be able to observe and admire the natural beauty of the area as you will be passing through trees that form an amazing landscape. The forest is full of pine trees and at a point you will start riding on down towards a beach called Pamucak, on the outskirts of Kusadasi. For those who wish and feel confident, there is an option of riding the horse in the water. This will definitely impress you as the particular beach is not crowded and is suitable for an activity like this. Horse Safari is a memorable experience as it combines relaxation with deep emotions. Once the one hour horse riding is over, a vehicle will be waiting for you at the ranch. The Horse Safari excursion ends when you arrive back at your hotel. By the end of this unique excursion you will be full of positive feelings and great memories. 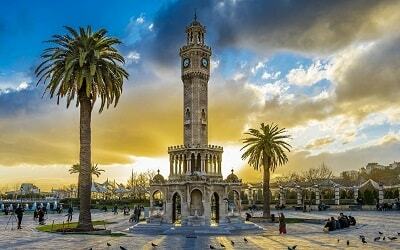 Selcuk Adaland Aquapark is another fun day out with family. 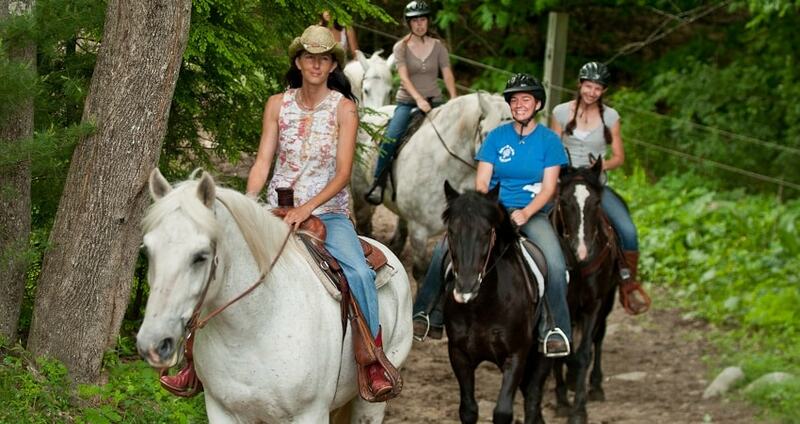 There is no better way to try an alternative activity away from the crowds, than Horse Safari. 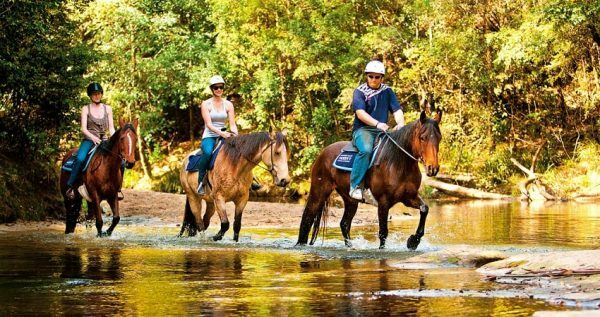 Enjoy a three hour tour and get the chance to ride a horse through the forest and close to the beach. 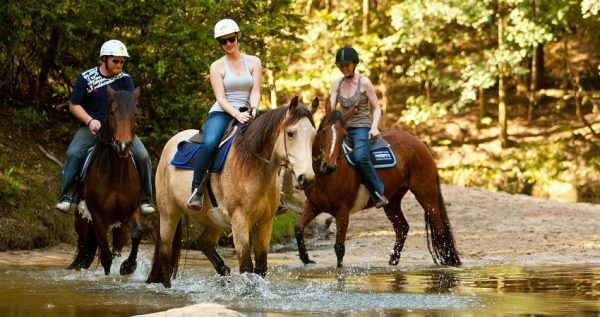 Selcuk Horse Safari is a relaxing and adventurous excursion which is able to create long lasting memories from your holidays. Your 3-hour Selcuk Horse Safari excursion starts when you are picked up. 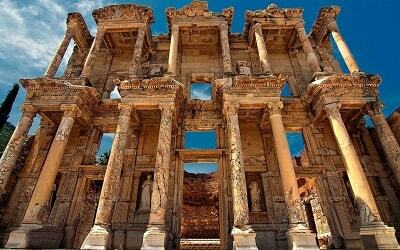 Depending on the schedules time of your excursion, a comfortable vehicle will pick you up from your hotel in Selcuk and drive you towards the ranch. The distance between the two locations is approximately 20 minutes. Once you arrive at the ranch you will meet your instructors. They will let you know important information about the horses. In general, these horses are well trained for such activity and know the way. Therefore, they are absolutely safe and children friendly. 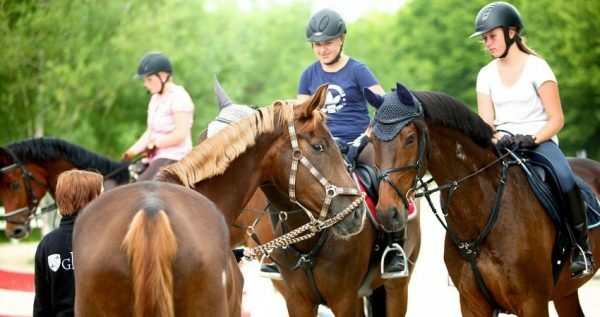 The instructors will also explain how to ride and control the horses, and they will also demonstrate all the safety procedures. If this is your first horse safari experience, there is nothing to worry about. The horses are ideal of beginners and everything will be explained to you. Once you are ready and set Selcuk Horse Safari starts. In total you will enjoy a one hour horse riding. 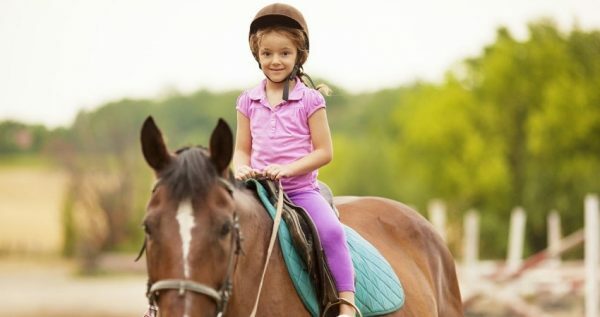 Accompanied by your instructor you will start riding your horse in a forest path. The instructor will be close to you and ready to assist you in any case you need help. During the horse riding you will be able to observe and admire the natural beauty of the area. You will be passing through a variety of amazing trees that form an amazing landscape. The forest is full of pine trees and at a point you will start riding on down towards a beach called Pamucak, on the outskirts of Kusadasi. The beach is not crowded, as it has few hotels on the one side. For those who wish and feel confident, there is an option of riding the horse in the water. This will definitely impress you as the particular beach is suitable for an activity like this due to its idyllic atmosphere. Once the duration of the horse riding finishes, a vehicle will be waiting for you at the ranch. 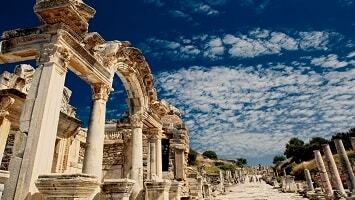 Full of emotions you will then continue on your way back to Selcuk. 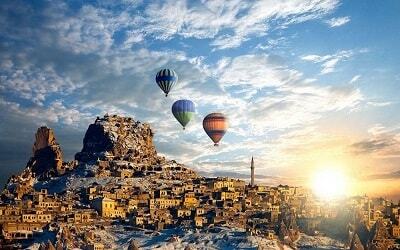 In total, Selcuk Horse Safari tour lasts for three hours. The excursion ends once you arrive back at your hotel. Your holidays will never be the same after this amazing and relaxing activity. Horse riding will be a long lasting memory.